Former Zanu PF Central Committee member and legislator Dr Daniel Shumba, who has been in and out of the ruling party, returns to politics under a grouping of 22 candidates vying to take-over from President Mnangagwa. 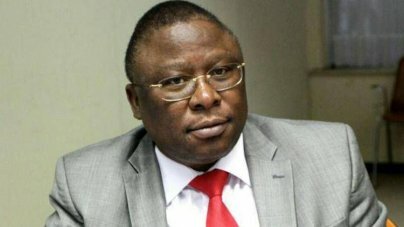 Shumba who once formed the United People’s Party after being expelled from Zanu PF in 2004 is now the brains behind United Democratic Alliance (UDA). He joins leaders who including United Democracy Movement Violet Mariyacha, Build Zimbabwe Alliance Dr Noah Manyika, Zimbabwe Partnership for Prosperity Dr Blessing Kasiyamhuru, Coalition of Democrats Elton Mangoma, MDC Alliance Nelson Chamisa and New Patriotic Front Peter Munyanduri that are contesting Zanu PF for leadership post. One of Dr Shumba’s major selling points is a promise to introduce basic income grants for all unemployed Zimbabweans. The 52-year-old, however, still leaves in denial by refusing to recognise the current political administration which has been said to be legitimate by the courts. Dr Dr Shumba in an interview last week said: “UDA is obsessed with uplifting the lives of the people of Zimbabwe and in doing so, we have researched the best way of bringing solutions to problems affecting our population. His government, said Dr Shumba, will maintain a strong stance against corruption. Ironically Dr Shumba was castigated by his father, Cde Asaniel, in April for siding with G40 cabal whose corrupt activities had negatively affected investment and economic performance. Dr Shumba also said his government would spearhead a new land redistribution exercise. “We believe the land audit that was launched need to be empowered. There is need for a more critical analysis on all state land to ensure that it is distributed equitably among all citizens,” he said. The UDA government, said Dr Shumba, proposes a new economic model for Zimbabwe which will encompass introduction of a gold backed currency to stabilise the economy. UDA government, he said, will address issues affecting youths. Dr Shumba said they will engage the youth in a holistic fashion, hear their views, concerns and find out what they want Zimbabwe to be like. UDA has no candidates registered in its name contesting in the legislative or local authority seats. President Mnangagwa is on record calling for political tolerance while maintaining the elections must be free, fair, credible, transparent and non-violent.